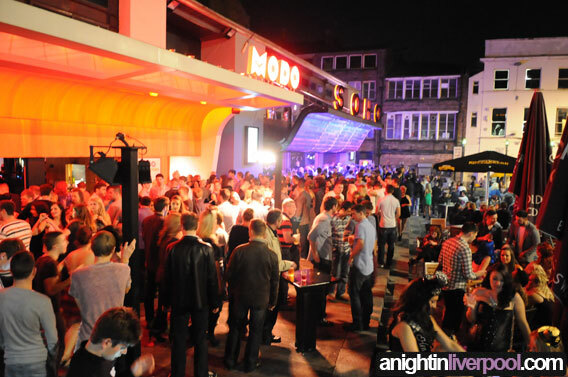 Concert Square is the heart of Liverpool's nightlife and best area to go in Liverpool on a night out. This area is the main drinking and clubbing hotspot in Liverpool, just a small walk from Lime Street station right in the centre of Liverpool. You'll find a good selection of bars, clubs and late night clubbing venues around Concert Square playing music genres from House, Indie and RnB music with a couple of sports bars pumped in for good measure. If it's your first time in Liverpool we strongly recommend you check out Concert Square first, especially if you're in the 18-25 age bracket as this is the best area for a night out in Liverpool for this age. We also suggest St Peter's Square and Seel Street, these drinking areas are a short 2 minute stroll from Concert Square and becoming more and more popular for Liverpool's nightlife on a Friday and Saturday night, plenty of cool bars and hangouts to choose from including cocktail bars more suited towards 25+. If you haven't already, check out our drinking guide for a more in depth view of Liverpool's drinking areas.